Co-evolution is when two or more species mutually affect one another’s evolution. Every dog living today evolved from wolves, and there is no doubt that dogs have influenced our lives over the past 12,000-14,000 years. But did you know that dogs and their wolf ancestors may have played a major role in making us the dominant species on the planet long before then? 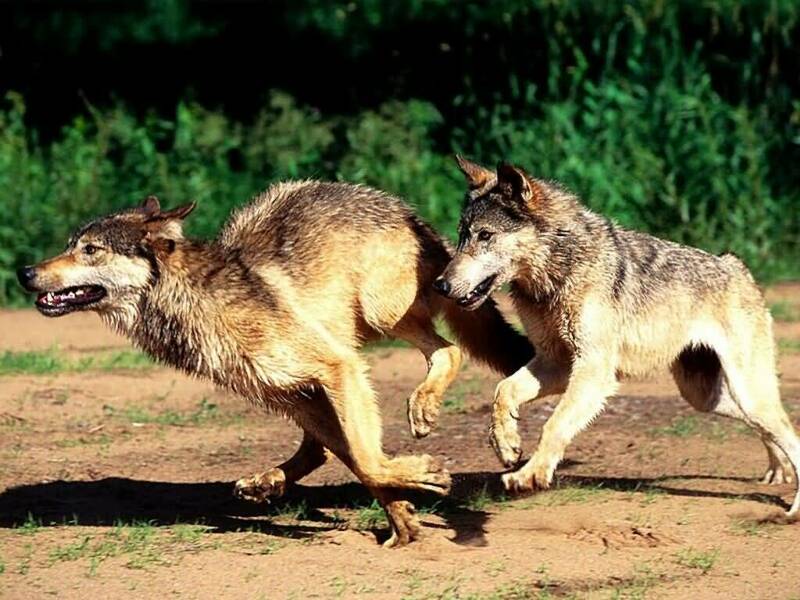 There is evidence that suggests that wolves have been influencing humans for as long as 150,000 years. There’s no way to know for sure what was going on thousands of years ago, but here are some intriguing ways canines may have made us what we are today. Hunted with us. 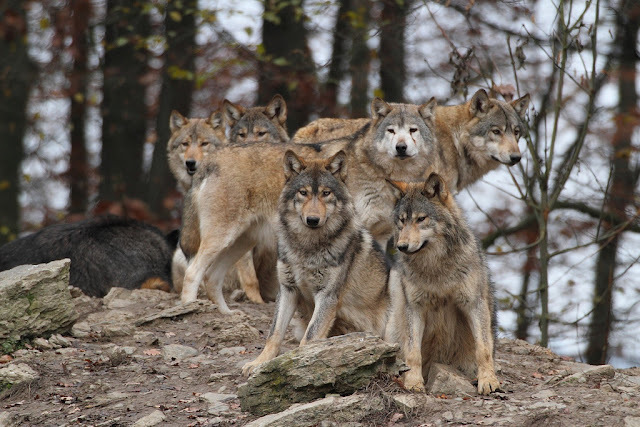 By hunting with early humans, wolves may have helped us hunt more effectively. This would have allowed us to grow our populations more quickly and may even, through increased protein in our diets, have contributed to the changes in our brains that set ups apart from other hominids. Their help may also have freed us to spend time on other things such as developing new tools, forming complex societies, and planting crops. Taught us better ways to hunt. Native Americans studied wolf behavior to make themselves more efficient hunters. It’s likely that our hunter-gatherer ancestors did the same, and that wolves helped humans become dominant hunters, an important step on our path to where we are today. And, again, more time for tool-making, planting crops, learning, and building. Guarded our homes. With wolves guarding their villages and camps, our ancestors could better protect themselves against predators and other humans, allowing populations to grow and attention to be put toward many of the things that made us what we are today. It also may have allowed us to grow small villages into larger ones, which led to more complex societies. Altered our brains. One of the things that changed when humans split off from other primates and then other hominids is that the parts of our brains that deal with scent and hearing shrunk, and the parts of our brains that handle complex thought and cognition grew. 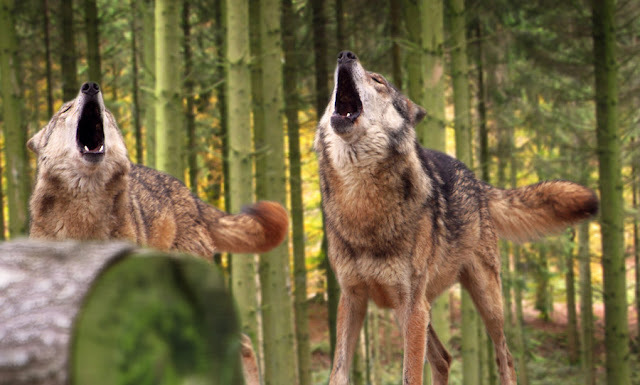 Some of these changes may have coincided with our earliest interactions with wolves. It’s possible that we outsourced sensory jobs like sniffing for good food and listening for danger to our four-legged friends, allowing other, higher-function parts of our brains to develop. Cleaned up after us. Wolves and early dogs most likely ate a lot of garbage that may have piled up around early villages. Garbage disposal may have cut down on disease, increasing our survival rates, and allowing for village growth and expansion. Started us on our domestication journey. Although the exact date of the domestication of the wolf is not known, it was long before any other animal was domesticated. It’s also very likely that the choice was as much the wolves’ as it was ours. After canis lupus familiaris became part of our lives, we tried to domesticate everything we could. We used the strength of other animals to help us begin farming, to travel long distances, to build bigger and stronger structures and towns, and to otherwise begin to form the complex societies we have today. Responses to "6 Ways Wolves and Dogs Made Us Who We Are Today"
I like this theory, it just makes sense.